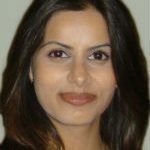 Bhavini graduated at The Royal London Dental Hospital in 2004 and went on to attain a 3 year Masters degree in dental implantology. Her early years were spent in hospital posts of Oral Surgery, and Maxillofacial Surgery at Guy’s, King’s and St Thomas’s Hospital in London. During this time she participated in numerous consultant clinics and taught undergraduate dental students. After gaining valuable hospital based experience in all aspects of surgical dentistry, she went on to working in a private practice, concentrating in aesthetic dentistry and full mouth rehabilitation. Her main focus since then has been to develop her clinical skills by focussing on extensive post-graduate education and self development. To book an appointment with Bhavini, please view available dates and find an option most suitable for you.